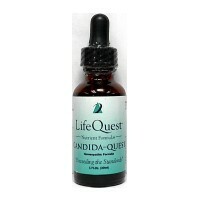 Candida-Quest - Life Quest® Formulas, Inc.
1 oz. A Homeopathic Formula Citric Acid Cycle Intermediates in a Glycerin Base. For symptoms of Candida and other yeast and fungal problems. Candida-Quest is more than just a remedy for yeast and fungus. It also helps restore proper pH (acid/alkaline) balance in the body. This in turn helps eradicate yeast/fungus as well as other health problems in the body coming from an overly acidic system. System acidity is a problem with over 80% of all Americans.